Xiaomi has launched today UPI Payments App, Mi Pay which will run on Xiaomi devices. This is a one-stop solution for consumers’ payment needs. Features of this app match with other popular payment solutions in India such as Google Pay, PhonePe, Paytm and MobiKwik. Mi Pay is primarily a UPI-based application and is integrated within Xiaomi’s MIUI interface across SMS, Contacts, Scanner, App Vault, and Settings. ICICI Bank is the payment service provider for Mi Pay. Consumers can make payments using UPI and other debit cards, credit cards and internet banking across 120+ banks and over 120 billers. With Mi Pay, one can make several utility payments ranging from phone bills, phone recharges, water or electricity bill payments. With this app, one can also transfer money to other UPI users and also request and collect money from other UPI users. One can also pay for goods or services that accept UPI payments by using your bank account. 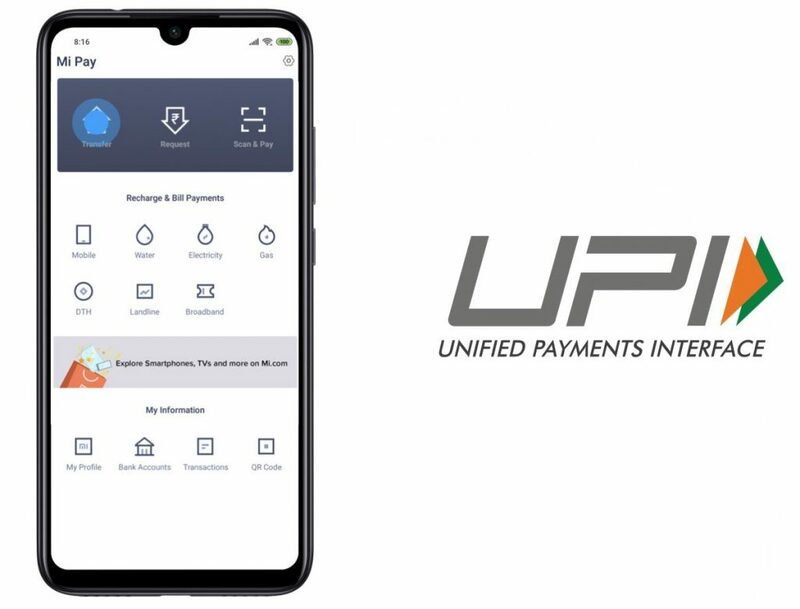 According to Xiaomi, Mi pay UPI has been approved by NPCI under the multi bank API model and it has been audited by CERT-IN empanelled auditors E&Y and Lucideus. Mi Pay provides the most safe and secure transactions with all data stored locally in India servers in an encrypted format as stated by Xiaomi. Mi Pay app will be available for all the MIUI users in a couple of weeks. To promote this app, Xiaomi is running offers for using this app. On offers are 100 Redmi Note 7 smartphones, 50 Mi LED TV 4A Pro 32-inch which can be won by using this app.